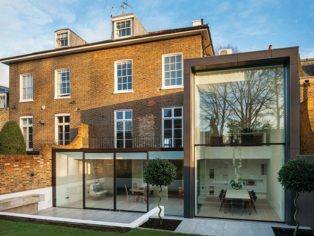 A project in south west London saw a firm of architects tackle a difficult commission to extend a listed former coach house, resulting in a dramatically open new addition. 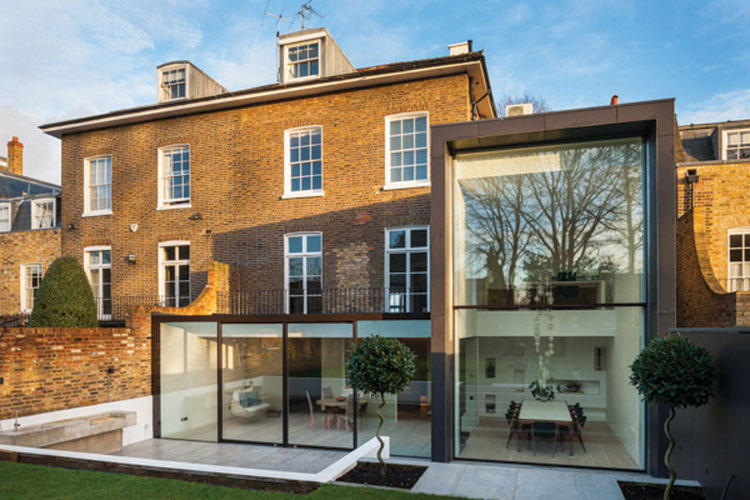 The owners of a terraced house in leafy Barnes, in the London borough of Richmond, turned to Hogarth Architects when they wanted to refurbish the property, but at the same time fundamentally enlarge their living space. However achieving the right design in this Conservation Area would be a test for architect and client. 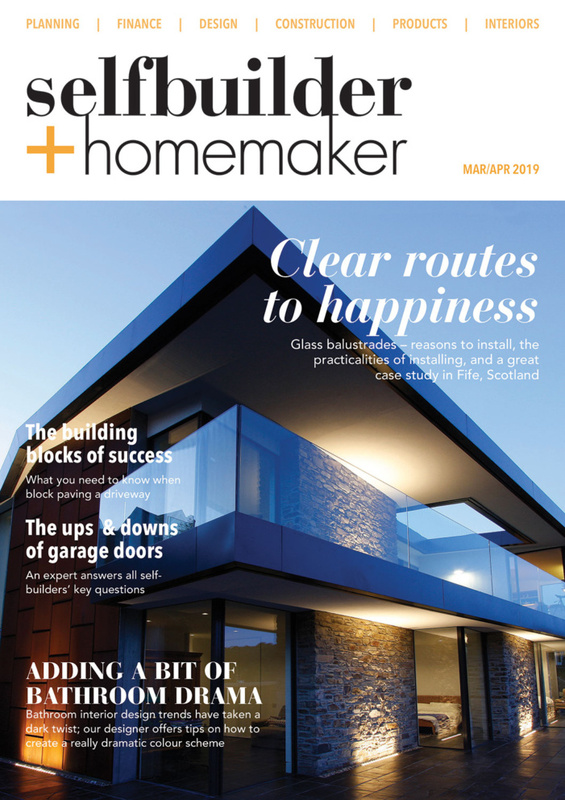 The finely-designed and award-winning two-storey extension provides a double height internal space which opens out onto the large garden, flooding the interior with copious natural light. Substantial motorised sash glazing maximises the views out. The extension is clad in striking dark fibre cement panels which sit well with the existing glass extension to the property, while offering a contrast. Within the property, a beautiful bespoke contemporary metal staircase with Dinesen timber steps provides access to the newly refurbished and extended basement; the heart of the home with family sitting area, kitchen and media room. The finishing touch to this highly desirable property is a new gym/play room in the garden, also clad in fibre cement. After several years of discussion, plus an appeal, and the client contacting local councillors, the architects were able to have access to “an experienced and knowledgeable” Senior Conservation Officer and eventually got a negotiated consent. 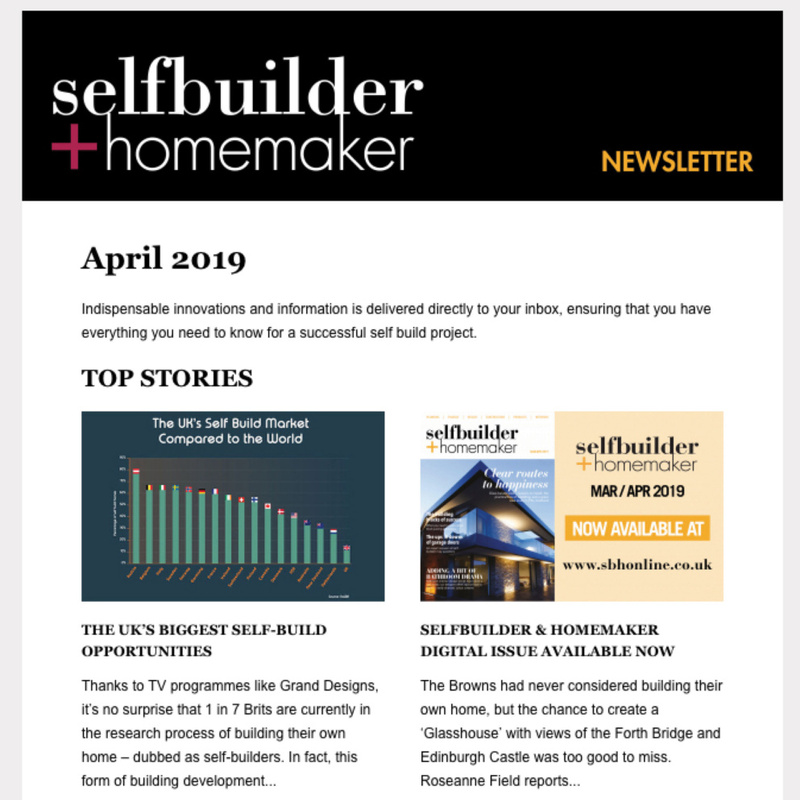 Despite a host of issues, including budget and programme challenges towards the end, this determined partnership of client and architect produced a finished result that both parties are proud of.